Forget all these words....marlie looks so cute! SOOOOOOO cute! LOVE the outfit! I would love to be more organized!! Not annoying at all. I love the costume...seriously she looks so big in this picture! Oh that is BEAUTIFUL! Great choice! Beautiful! I love that costume! What a super cute costume. She's so beautiful. Dressing up is so great for the youngsters. SO cute! I've always wanted a really awesome butterfly costume (for myself LOL) and this one is just adorable!! Adorable! I want one for my little girl - if I every have one! Hey, I can plan ahead too! I love this one! I can't wait for my little girl to get here. I'm tired of pirates and dogs for halloween. It's time for something girly at the Kerr house! So cute! That looks great on her! Wow she looks beautiful in that! 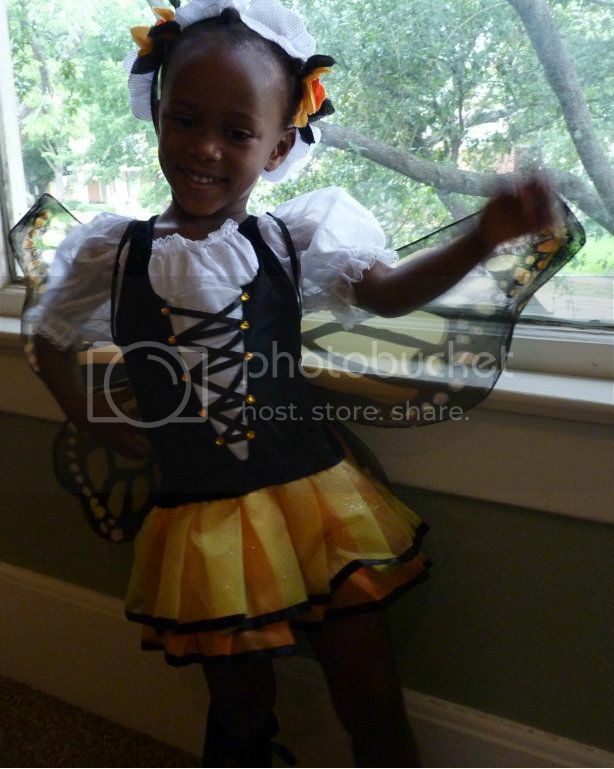 My daughter was a butterfly last year but it was a homemade costume and is NOTHING like this one. Beautiful. Wow, what a great price, and so adorable! I've never seen a butterfly costume like this before- too cute! So cute! That is such a cute outfit! I'm not sure what's cuter...the costume or that sweet smile! Marlie looks adorable! Such a big girl! Too cute! Can't wait to see them together as a caterpillar and butterfly! What will you and Damon be though?